How do people find out anything about the world? Google it! Amazingly websites pop up immediately giving desired information. So, when consumers want to know about wineries close by, you want them to find and trust your website. But, how can you guarantee that? Trust a company with a solid reputation for web design – conversionMOXY. 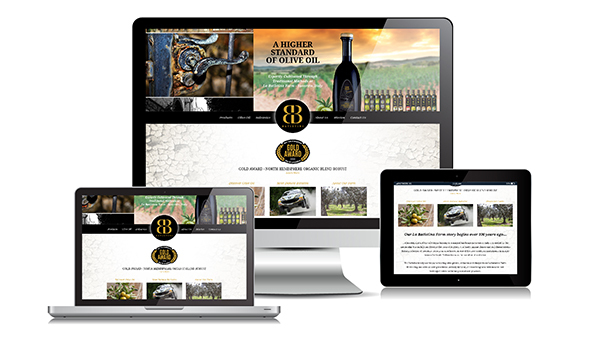 They are ready to sculpt your winery websites design into a sleek, professional site. Imagine your winery. The smell of the grapes and the wine mixes and wafts through the room. Everything is sleek – modern – clean – classy. There isn’t much decoration because the wine speaks for itself. The room gives off an ambiance of sophistication, matched by the clientele. Now, how can you siphon all of that into a website? Trust conversionMOXY! Wineries attract a sophisticated crowd. Therefore, their website should do the same. Using the seven phase process of web design, they make sure your business will excel with this digital marketing platform. ConversionMOXY capitalizes on data to pinpoint what your clients are looking for. By building a sleek, professional website, you will have the opportunity to reach a much larger customer base. Therefore, you will increase your clientele – increasing your business. First, conversionMOXY collects information about your business. They combine several factors into your company’s design. These can include leads and sales, color schemes, photographs, and more. Web- or server-based designs are available. Furthermore, they are prepared to enhance your website with a variety of other features. These features include social media and branding options. ConversionMOXY will make sure your website is a perfect complement to your winery! After the website’s creation, conversionMOXY continues to support your business. Next, they test all features of the site before launching it, asking: Does the website fulfill its purpose? Then, when it’s completely ready, the website goes live. Most importantly, you should know conversionMOXY does not leave you after deployment. They stay in contact with you, continuously monitoring your website. Their first priority is ensuring your website always meets your winery’s needs. Furthermore, conversionMOXY has a team of experts ready to fully transform your business. Their team has the expertise to do even more for your winery! For example, search engine optimization (SEO) is key! They monitor what folks are searching for and then use that knowledge to apply to your winery’s digital presence. Social media management is another important marketing element that conversionMOXY can handle for you. New data is available all of the time, so your website and web presence will be ever-changing. ConversionMOXY is prepared to keep your business running smoothly and transform your digital footprint. A company’s reputation is only as good as their previous customers’ experiences! Only trust a company that can provide success stories. Let conversionMOXY worry about your winery websites design and you worry about the wine! Today, contact them at 336-245-1640 or request a quote.